Container with a good lid. Beat egg yolks and sugar in the last bowl till it gets creamy. Add egg yolk mix to cream mixture and beat. Lastly fold in egg whites and transfer to the container and freeze for at least a day. 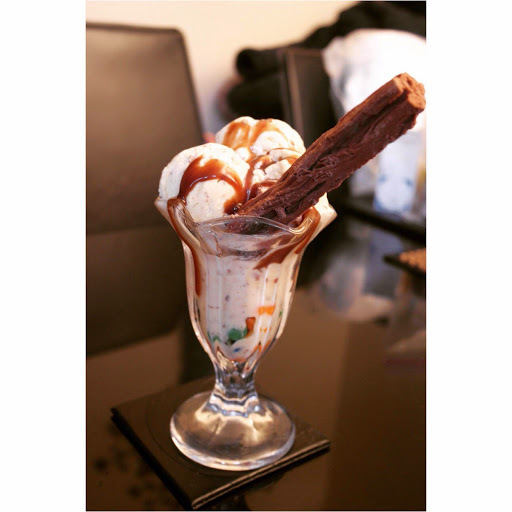 In a dessert bowl serve 3 scoops and top with some m&m’s chocolate sauce and cadbury flake.